Microsoft is working quite hard from last six months and have introduced many new Software and Hardware for Windows desktop and Windows Phone users including new Windows Phone 8, Windows 8 OS, MS Visual Studio 2012, SQL Server 2012 etc. etc. but now Microsoft has rebooted and revamped its old Hotmail E-mail Service with brand new identity and domain name called "Outlook". 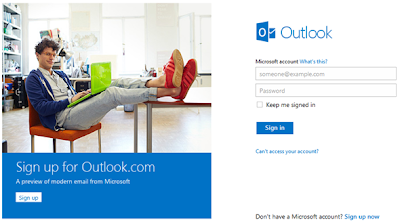 Yes Outlook.com is the new and most advanced e-mail service introduced from Microsoft with a fresh look. The first preview of Outlook E-mail Service is available now for general users who are using Hotmail.com and Live.com Microsoft Windows ID's, users can easily Sign-Up for new Outlook E-mail Service by just one click. The new Outlook E-mail Service provide users a fresh look with Metro Style like in Windows Phone 8 and Windows 8 OS with most advanced email experience and features. 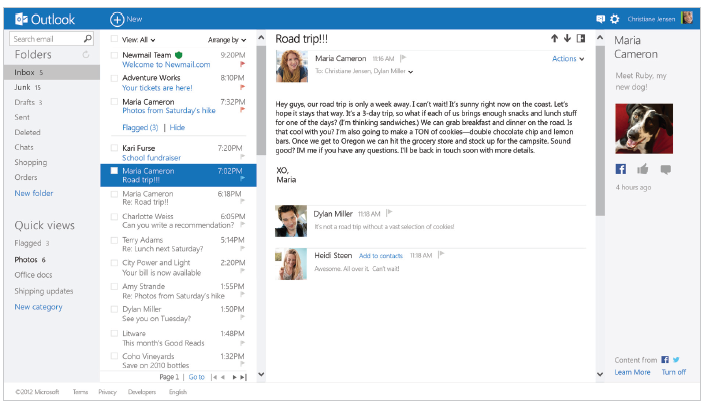 The new Outlook has changed everything from privacy to workflow and from advertisement placement to doc’s attachments which will help users to done things with less distraction. 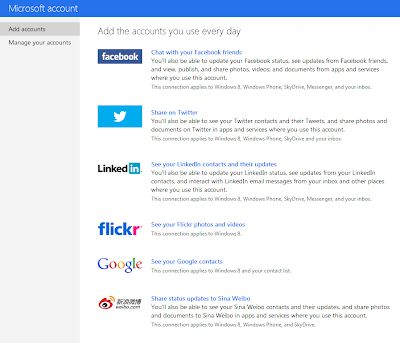 Why and How to Sign Up for Outlook.com? Hotmail.com and Live.com Microsoft Windows ID's users can simply go to Outlook.com and can sign up for the first preview of Outlook, You can also easily Upgrade from Hotmail Account to the new Outlook Account by going to the "Options" menu and clicking the "Upgrade to Outlook.com" now, simply fill in all of your required details and click on “I Accept” at the bottom, that’s it, you are done now! You will than quickly upgrade to the new Outlook in no time. Outlook is being built to replace the old Hotmail E-mail service and it’s a part of Microsoft new changes which are taking place with upcoming Windows 8 Operating System and Windows Phone 8 style and interface. So tell us how is your experience with new Outlook.com E-Mail Service? 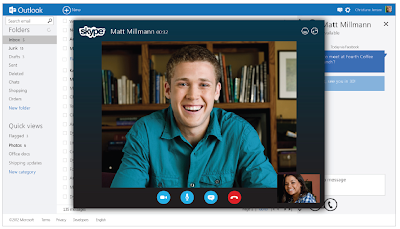 Did you feel any difference as compare to Hotmail.com and will it replaced and divert users from Gmail? Tell us in Comments! 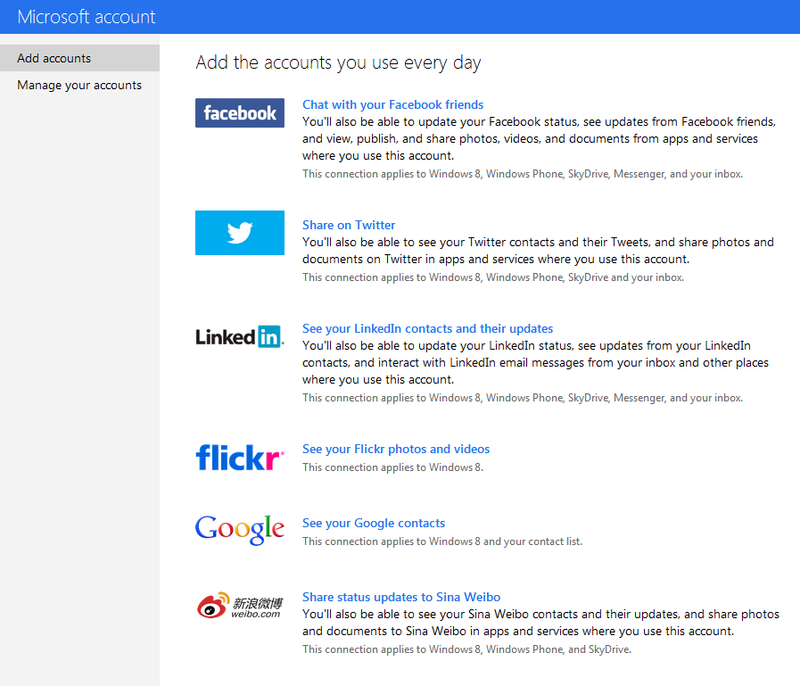 Check out the following official Screenshots and Images of New Microsoft Outlook.com E-mail Service.